A spectroscopic analysis is performed in order to identify radionuclides. 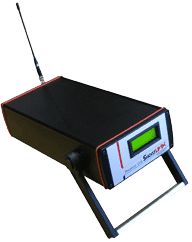 It is used for radiation monitoring when a standard gamma dose rate monitor is not efficient enough, and when it is required to qualify the nature of the gamma radiation. Spectroscopic probes can be used for specific applications or integrated into a larger environmental monitoring system. They are also specifically well designed for emergency cases.